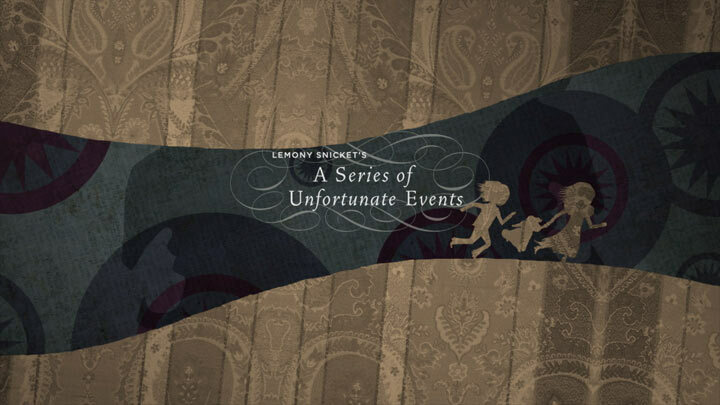 Based on the popular children's book series A Series Of Unfortunate Events, the movie "Lemony Snicket's" tells the story of the three Baudelaire orphans who are sent to live with a distant relative Count Olaf. But the evil and greedy Olaf is after the children's fortune and is secretly concocting a scheme to kill them. 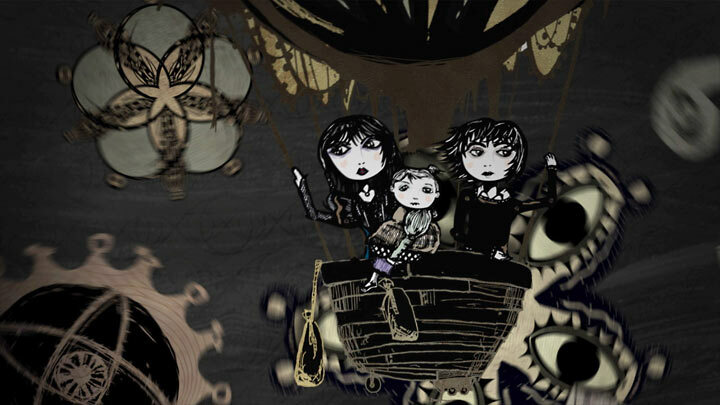 The end credit sequence for this dark Hollywood fairytale are built around a truly original piece of animation, featuring the Baudelaire children and the evil count Olaf. Director Jamie Caliri talks in depth about the process of creating the title sequence. Jamie Caliri: "Brent Watts of Axiom Design had the notion of turning the character designs they had created for Lemony's merchandising campaign into an end title sequence. They pitched this notion to the producers who agreed to look at story boards. Axiom put together storyboards even though they're not an animation or film company. The original boards were just shots of illustrations moving inside of picture frames with floating text." "They took these boards to Mike Miller of MWP (an editing company). Mike looked at the designs of the characters and thought I might be intrigued. I was. He asked if I could direct this picture-frame sequence. I said yes, but felt that they needed more story elements to make it interesting." "Meanwhile I read the first three books twice. I pitched a more dynamic version of the picture frames to Brent and Axiom. These concepts were presented and rejected by the powers that be and we were asked to make something without story. 'Images floating' was one of the quotes. I think they were worried about us making a mess in the kitchen so to speak." 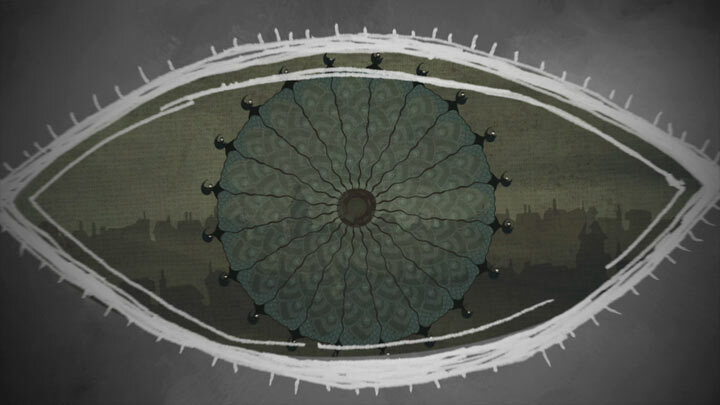 "I had this idea that Count Olaf should be represented as a huge, invasive, graphic element. Brent liked this. Without saying it to anyone I decided to go deeper into a story style approach." "Brent and I met at a coffee shop and I pitched the concept. Together we came up with a series of vignettes based on this approach. Together we pitched the ideas back to Brad Silberling [the director]. Brad narrowed down the field of ideas and we were soon off. After this point Brent and Brad gave me the freedom to carve out the piece as I went." "In the end, most of the sequence concepts were mine, some were Brent's. I boarded out the entire sequence. Early on, Benjamin Goldman and Todd Hemker [the lead animators] took my chicken scratch storyboards and made an animatic* that blew everyone away." Were Todd Hemker and Benjamin Goldman involved in the project from the very start? Jamie Caliri: "Benjamin knew about the job early on and came to some of our meetings. Todd came later as the production started. They were great to work with because they both know how to take animation from start to finish. They worked insane hours - sometimes driving them insane." "We worked in a rented house in Ojai, California. Todd and Ben were working and living in this house. This was tough on them because they were away from home and working night and day. It was a tour of duty." "Because they're both filmmakers it was challenging sometimes when they'd want to go one way with a scene and I another. I knew how I wanted the pace and the style of movement. We didn't always agree but they were cool with redoing shots until I was happy." "To give proper credit - Axiom had most of the design work out of the way as far as characters and props and textures. I watched the movie trailers and decided we needed more fabric textures. We were constantly scanning in new papers and fabrics." "Todd and Ben were also making some new art for each sequence as we went. Todd brought a beautiful flat look to some of the sequences. This really balanced the piece. Ben went wild with some of his final sequences - He loaded them with texture and subtle color. Ben was on a roll by the end." "Because it was just the three of us, it was easy to keep an overall vision going without a huge bureaucracy. I could just step away from my computer to check on their scenes progress. No emails or planned approval times. That is how we made such a cohesive piece so fast." Article: Remco Vlaanderen, © Submarine Channel, 31 October 2008. Last update: 9 August 2013. Jamie Caliri was born in 1970. After studying Animation and Filmmaking at Cal Arts, he directed several commercials and logo treatments in the early to mid 1990's. In the late 1990's Caliri left animation behind, for some time at least, to direct live action music videos for the likes of Marcy Playground. Caliri directed the 1997 promo for Morphine's 'Early To Bed', which earned him a Grammy Award nomination for Best Live Action Music Video. 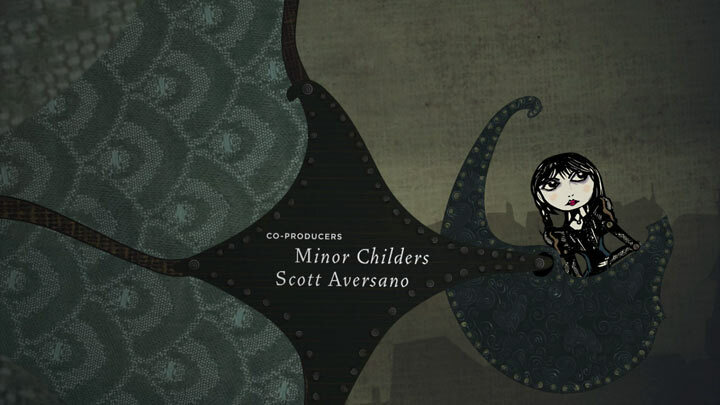 Caliri's influential animated end credit sequence for Lemony Snicket's - A Series of Unfortunate Events remains in the top 5 of the "most viewed title sequences" on Watch The Titles. 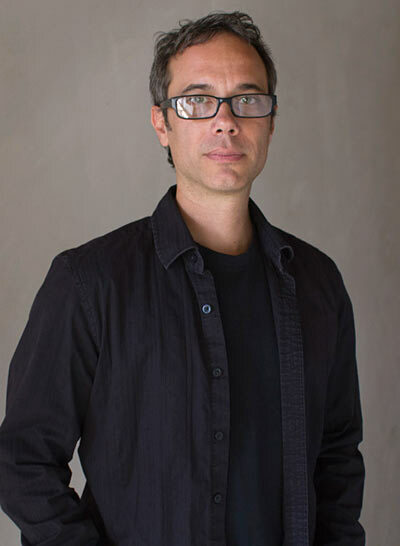 In 2009, Jamie Caliri and his creative team were nominated for an Emmy for Outstanding Main Title Design for the titles of HBO's TV series United States of Tara, which we also featured. Another highlight in his career is the stop motion animated commercial 'Dragon' for United Airlines (on Jamiecaliri.com). 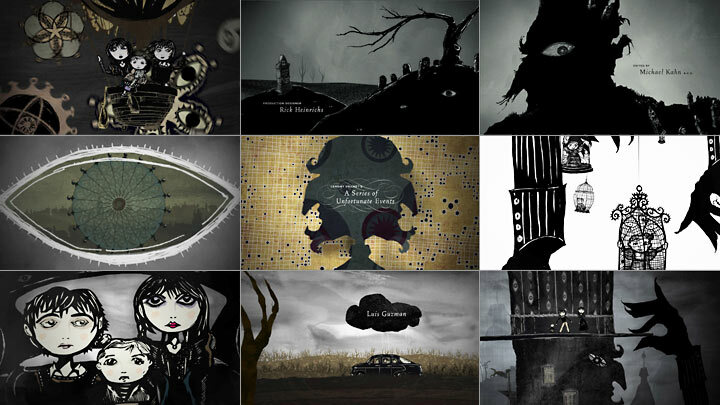 In 2009, Caliri joined Garcon Yu, Kyle Cooper, Karin Fong, and Danny Yount to present his title work at our Watch the Titles event in the Hammer Museum in L.A.
this is a wonderful story that I've ever watched.I hope that there is lemony snicket's a series of unfortunate events 2. The entire film was such an incredible visual treat. I purchased the DVD in part because of this piece of work---I enjoy watching it that much! Thanks so much for your creativity and dedication. 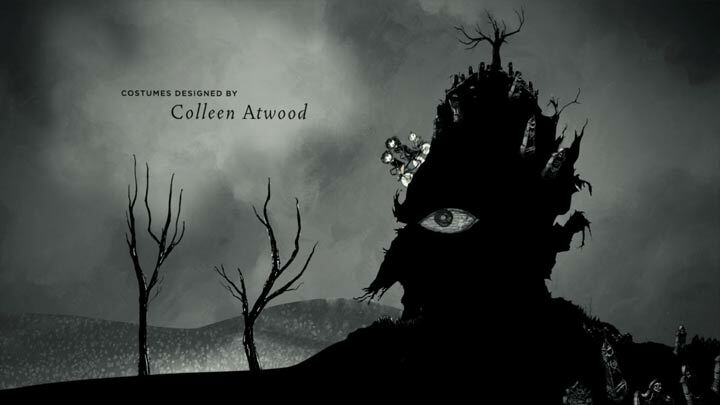 this title sequence is gorgeous. I liked the titles better than the movie. I can watch this sequence over and over and never get bored. I love this title sequence, and the final touch with Hungarian Dance #5 by Johannes Brahms is great! Best sequence ever! If you enjoy this, you also may enjoy the opening sequence of Dean Spanley. That was much shorter, though. What a treat to have all these animated titles together on one site.